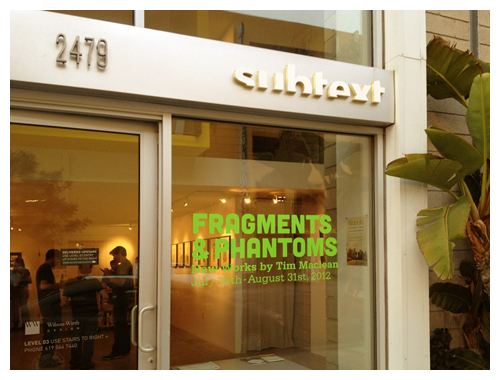 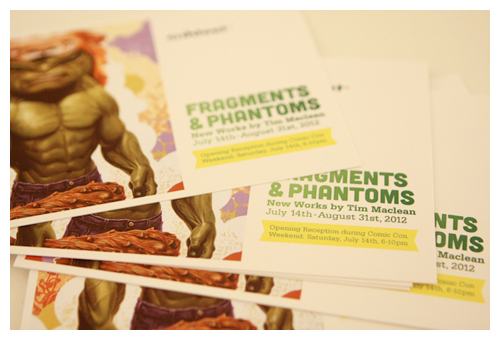 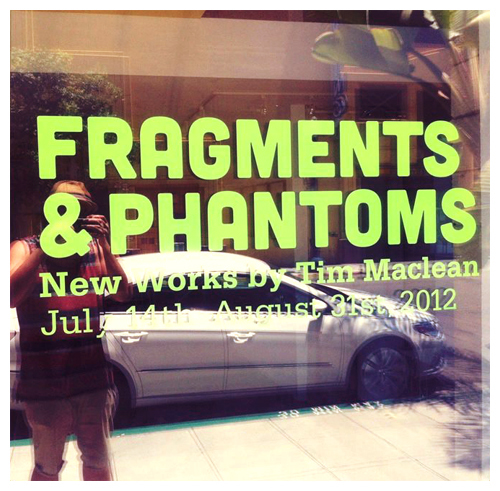 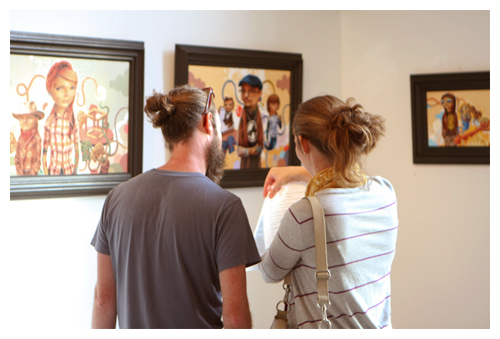 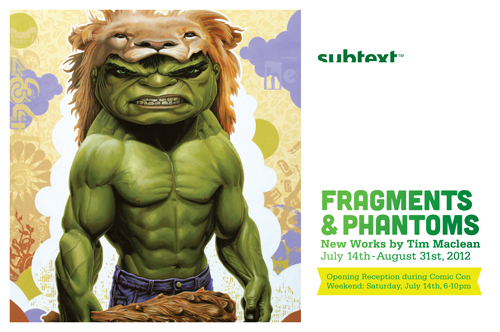 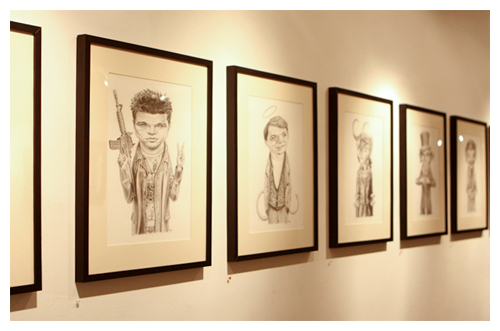 ‘Fragments & Phantoms‘, my solo exhibition at Subtext Gallery in San Diego opened last weekend. 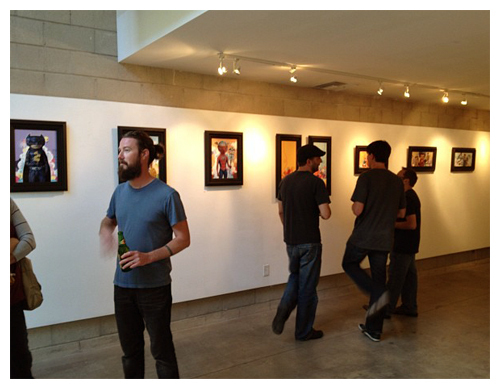 Before I go any further, I just want to thank Dylan and Don for all the hard work they’ve put in organising everything and hanging the show so beautifully. 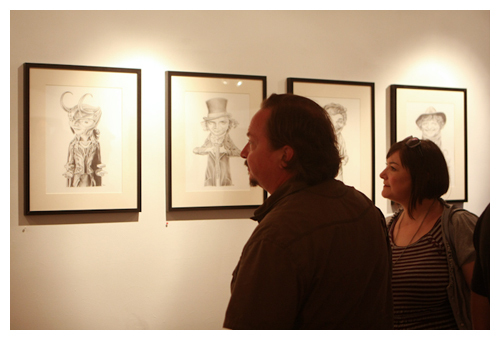 I also want to say thank you to everybody who made the effort to head along and check it out, your support is most appreciated! 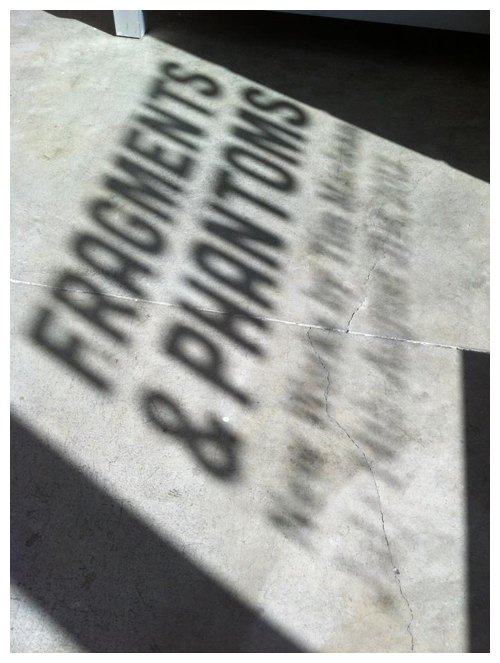 The first half of this year, I was holed up burning the midnight oil, in order to produce the work for this show and I’ve been really looking forward to the moment when I could share it with you all. 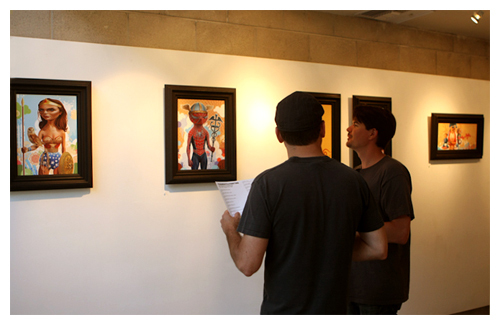 This body of work continues to explore and expand on ideas evidenced in my previous efforts. 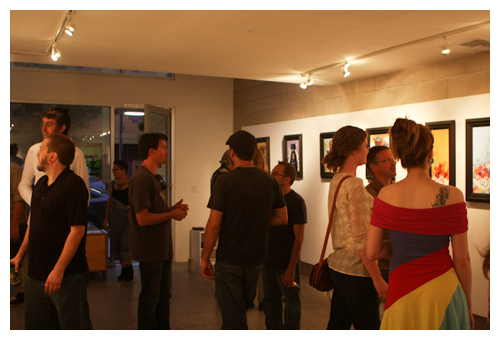 I’ve taken many of the themes which interest me, such as identity, language, number, pop and subculture, myth, archetypes, etc. 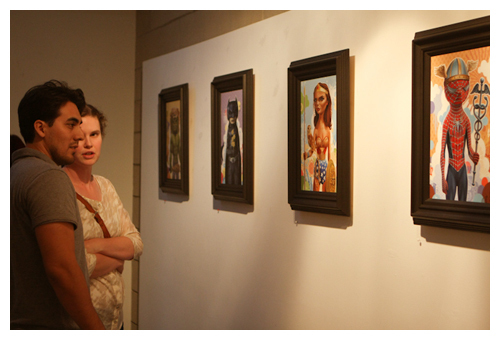 and looked at them through the lens of how these cultural phenomenons and languages shape the mystery that is our consciousness. 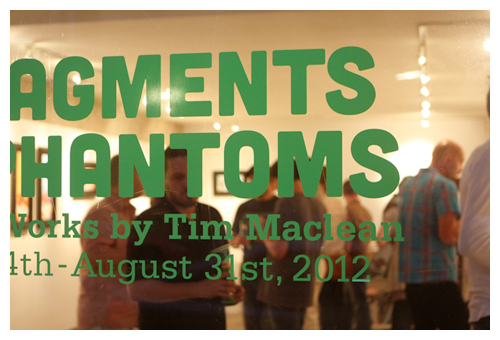 The show opened on July 14th and runs until August 31st, so there’s plenty time left to make the trip along to see it.